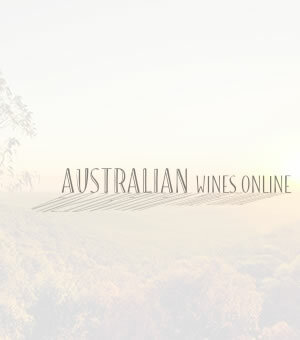 Auswines Shiraz Special – Six bottles of Shiraz from around the regions. Y Series Shiraz is a crimson purple in colour, this wine is bright and fresh with aromas of blueberries, violets and cherry ripe with hints of cinnamon. Vibrant and medium bodied, the Y Series Shiraz displays fine white pepper tannins, and hints of cherry and rhubarb to finish. Enjoy this wine with tacos, burritos and nachos – a Mexican fiesta! Soldiers Block Shiraz – Delicate red fruit and herbal aromas open up to a palate of ripe mulberry and plum fruit. the fine grained tannin and vanilla from the oak, work in balance to deliver a wine of poise and elegance. Soldiers Block Shiraz is sourced from ancient Victorian soils in order to achieve a wine with greater finesse, purity and structure as well as typical eucalypt flavours and saline finish associated with the area. Picked at night and crushed within an hour of picking before being sent to the fermentation tanks. The Shiraz grapes were fermented in temperature-controlled tanks maintained at 22 – 25ºC to avoid extracting any harsh tannins, with the fermentations pumped over to extract good colour. 20% of the final blend is barrel aged. The winemaker also added 5% Malbec at the end of the whole process – a sneaky technique that gives a mulberry fruit twist on the finish. Bright, aromatic and juicy on the nose with just a touch of naughty bacon fat. True to the varietal, the tiny proportion of Malbec in this blend gives a flowery perfume. This vintage is our brightest, most dangerously drinkable Shiraz to date due to its fine, bright fruit and soft silky elegance. Yalumba Galway Vintage Shiraz shows all the hallmarks of a traditional Barossa Red. It is deep in colour with crimson hues. There are aromas of mulberries, black forest cake and liquorice allsorts that speak of its varietal and regional origins. The palate is ripe and generous with flavours of mulberries, dark chocolate and hints of beetroot. It finishes with cocoa powder like tannins that give evenness and generosity to the wine. “Galway Vintage is as much a part of the Yalumba stable as The Signature – it’s been the Australian red wine drinkers’ staple since 1943.” Robert Hill-Smith, Fifth Generation, Yalumba Named after former South Australian governor LieutenantColonel Sir Henry Lionel Galway – a keen wine man who wasn’t afraid to speak his mind – Yalumba Galway Vintage has always had the mandate to exceed the expectations of even the most demanding red wine drinker. Rich in colour, with distinctive spicy fruit and perfectly integrated oak, this is an elegant, full bodied wine, perfect to enjoy with barbecued meats. Displays a complex nose, with a broad array of fruit and oak aromas. Medium bodied, with soft blueberry fruit, spices and subtle oak, well integrated tannin and a dry finish. The Mount Lang Ghiran vineyard is truly unique, it’s ‘Old Block’ vineyard producing one of Australia’s most distinctive and distinguished wines, the Langi Shiraz. Our winemakers consider it a privilege to work with the amazing array of fruit delivered from the vines and are inspired to pour their talents into crafting wines that exceed expectations. The raw elements of soil, climate and vine combine to create this unique vineyard. The weathered granite rockface and sedimentary soils, the cold prevailing winds forming off the Southern Ocean and the vinestock carried to this region by Swiss settlers in the 1800’s, all these elements play a critical role in producing the distinctive flavours of Mount Langi Ghiran wines. Winemaking at Mount Langi Ghiran has undergone a generational shift into younger hands over the past ten years. This shift sees innovation, fresh ideas, and contemporary insight into the science of wine production. Each generation of winemakers to arrive at Mount Langi Ghiran has built upon foundations laid down by hands before them. The Old Block at Mount Langi Ghiran, home to the iconic Langi Shiraz, was planted to the Swiss clone Shiraz taken from the 140 year old Nursery Block in Great Western. This unique clone of Shiraz matches effortlessly with the cool climate of the Grampians, producing spicy pepper characteristics for which Mount Langi Ghiran has become renowned. In 1981, cuttings taken from the Old Block were the seedlings for the now flourishing Cliff Edge Shiraz block, warmly referred to as the ‘Baby Langi’. Mount Langi Ghiran now has 80 hectares under vine, primarily red grapes, with the dominant variety of course, being Shiraz. While 80% of the production is Shiraz, other varieties planted at the estate include Cabernet Sauvignon, Merlot, Sangiovese and the white varieties: Pinot Gris, Chardonnay and Riesling. With an impressive portfolio and a passionate team, the winemakers at Mount Langi Ghiran continue to meticulously develop and hone their methods, whilst producing wines that embody the essence of Mount Langi Ghiran. 16 Stops Shiraz – This deep coloured Shiraz is youthful and vibrant, with a lovely dark fruit and spiced plum character on the nose. The oak supports rather than masks the fruit, which is bright and lively yet plush and fleshy on the palate. The tannins are ripe and silky, giving the wine a texture that is unusual at this price. The grapes are selected from multiple vineyard sites in South Australia, with much of the blend coming from vineyards around the Willunga district. The vines are mainly planted with a north-south row orientation, primarily with clone 1654. This is the clone widely regarded as producing the best Shiraz in the McLaren Vale region. The vines are mainly hand pruned. The 16 Stops wines are made at the Willunga 100 winery under the watchful eye of consultant winemaker Tim James, with much of the fruit sourced from the same vineyards. The wines blend the fruit from the McLaren Vale with that of the Adelaide Hills to combine the best of both areas, with riper flavours from the McLaren Vale, and fresh, mineral notes from the Adelaide Hills. The name 16 Stops comes from the number of stops on the railway line from Adelaide to the Vineyard. We’ve all got a mate who, despite the calamities befalling everyone else, always lands with his bum in the butter. When everyone else sees doom and gloom, The Opportunist sees blue skies and sunshine. Love him or hate him, The Opportunist always comes out on top. Returning to something approaching the historic norm, the 2017 vintage season was defined by a wet late winter followed by good flowering weather and then very mixed conditions throughout the growing period. This resulted in a late harvest. sometimes 4-6 weeks later than the precocious 2015. Quality was generally good though time spent in the vineyard as the difference between making good wine or great wine. As for all of our wines, the fruit for the Opportunist is picked on the way up to ripeness rather than on the way down. This way we achieve freshness and energy but not at the expense of flavour. We retain as many whole berries as possible to increase vibrancy and succulence. Winemaking is simple and is followed by 8 months on oak to increase texture and varietal expression. An aromatic bouquet of ripe fruits, cherries and blackcurrants, with notes of freshly ground coffee, dark chocolate, peppermint, liquorice and subtle pepper. Thick and smooth with good balanced fruit weight. Wild & Wilder is all about good clean fun. Working hand in hand with our merry band of growers, we craft wines of supreme quality at our Adelaide Hills winery, but we don’t take it all too seriously. Great fruit from Barossa, Langhorne Creek, Clare Valley and Adelaide Hills, grown by great people, and made with a lot of love by those that know that wine is all about good times, tasty food and creating great memories.